“Game of Thrones”: Kit Harington & Rose Leslie Engagement, the final directors annouced, and The Live Concert Experience Tour is Back! I know many of you, like me, are still absorbing the death of Littlefinger in the season finale and grappling with having to wait until at least Summer 2018 (possibly 2019) for the finale season. Luckily, we got a bit of good news today with the announcement of the directors for the finale season, an engagement, and the return of the GOT Experience tour. Today, as production on the eighth and final season of GOT begins, HBO has unveiled their decision on who will be helming the last six episodes. Fans can breathe a sigh of relief in knowing many familiar faces made the short list including Miguel Sapochnik, David Nutter, and creators and showrunners David Benioff and D.B. Weiss. Simultaneously, Kit Harington and Rose Leslie coyly announced their engagement in the Times newspaper after much speculation from fans. 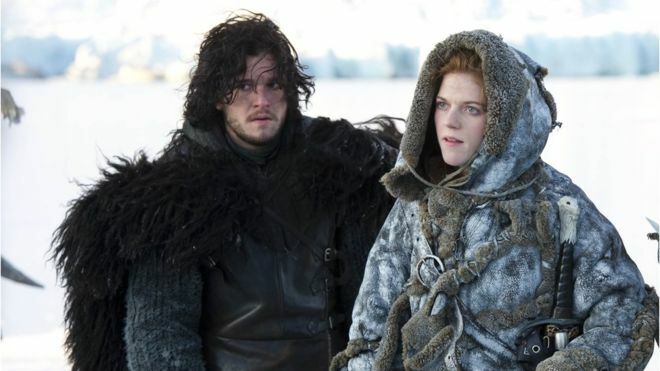 The couple met on the show in 2012, where they played on-screen lovers Jon Snow and Ygritte. Leslie left the cast two years later and is now on the show The Good Fight, while Harington became one of the biggest names in Hollywood. In addition, fans were given the added perk of knowing the Game of Thrones Live Concert Experience will be heading back out on tour for 2018. The tour was critically acclaimed on it’s initial run earlier this year, bringing Ramin Djawadi’s music and the world of Westeros to life in different arenas around the US. With new music, visuals and stage design, the tour is going journey throughout all of Europe before returning to North America next fall. Tickets go on sale this Friday (9/29) at GameofThronesConcert.com. While we’re still left pining for the new season, at least these crumbs are helping us get through the winter!